​"Smith is a Tampa-based actress whose performance in Sarah Kane’s 4.48 Psychosis four years ago still resonates; now we see that she’s also a courageous writer, and one who aims for difficult heights. Directed by Giles Davies, Lady Love offers much that’s baffling — but in a tradition that includes Beckett, Pinter, and Caryl Churchill." 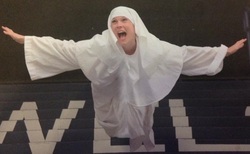 "...Nicole Smith as spouse Pony is a smiling tempest of paradoxical emotions." "Renowned Tampa stage vet Nicole Jeannine Smith is fabulous as Bessie, who does much of the narration. Bessie is also the most spirited of the three wives, which seems well suited for Smith. " "It’s artistic candor like this that got some of us hooked on theater in the first place..."
"But then we come to the truly outstanding performances: Nicole Jeannine Smith as Ophelia and Giles Davies as the Gravedigger. Smith’s Ophelia is so resplendent, you want to say, yes, this is Shakespeare. Smith’s level of acting answers questions we didn’t realize we were asking: it shows us an Ophelia so giddily in love with Hamlet, so impressionable and oversensitive, her eventual madness when her father dies feels psychologically inevitable." "And then there’s Nicole Jeannine Smith, an actress who seems to play every part radiantly: her Haley Miller is so engaging, it’s hard to imagine why Patrick (or anyone) would leave her for other stimulants." "And there’s so much good acting, giving Matt McGee so much to work with. Let’s start with Nicole Jeannine Smith, who plays the visionary Agnes at such a high pitch, it seems only logical that stigmata should appear on her palms. Like all the actors directed here by Hartley, Smith jettisons all inhibitions to give us a wonderfully wild performance, part Saint Joan and part Agnes of God, part panther and part Pomeranian." 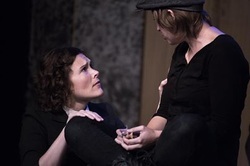 "Nicole Jeannine Smith, 4.48 Psychosis British author Sarah Kane killed herself shortly after writing this harrowing, cryptic play, and thanks to Smith, Bay area audiences had a rare chance to see it. Whether confessing her mental illness, facing another psychiatrist, popping psychotropic drugs, or anguishing about a love affair, Smith’s character was dreadfully honest, anguished, and needy. This was theater at the edge, and Smith’s performance was brilliant." "The depth of darkness in Macbeth is overwhelming. 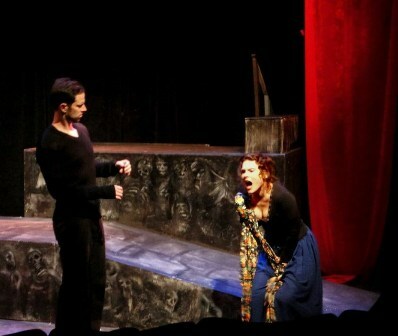 "...Lady Macduff, finely played by Nicole Jeannine Smith." 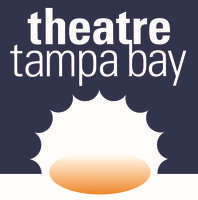 COME CELEBRATE THEATRE IN TAMPA BAY ON OCTOBER 14! 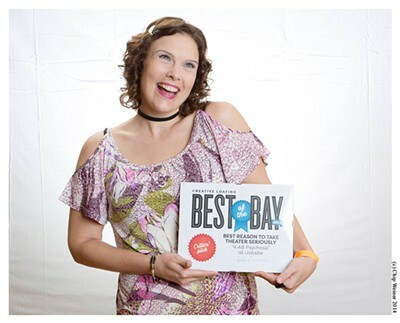 Nicole is a proud member of Theatre Tampa Bay.